It is a well-known fact that school education is a gradual progress of knowledge transfer over the years. Ideally, before students are promoted to the next grade, they must have a good understanding of the lessons taught in the previous grade. As of now, the main criteria for assessing this are the evaluation tests and marks scored in them; the higher the student scores, the better they know the concepts! If that is the case, then why is there a failure/pass mark? It is present to determine whether the student is eligible to learn the content of the next level with his current knowledge or not. If the student does not meet the minimum score needed to clear a level, they must be held back and repeat the curriculum until they understand the concepts well enough to be promoted. However, most of the times, the teachers and mainly the parents associate failing with loss of a year for the student. Given the above rationale, is that really how it should be? What is more important? Is it more important that the students strengthen their conceptual understanding before moving on to ‘many years of learning’ or is it about just moving on to the next year to save a year? Moderation is a process where evaluators reward or allow students to go to the next level by passing them in the courses despite underperformance. This is a tough process for the evaluators as they must be sure of the students’ ability to perform well in the next levels before rewarding them. Ensuring this ability to perform at a higher level is impractical due to high efforts needs; and this is what leads to unfair moderations. 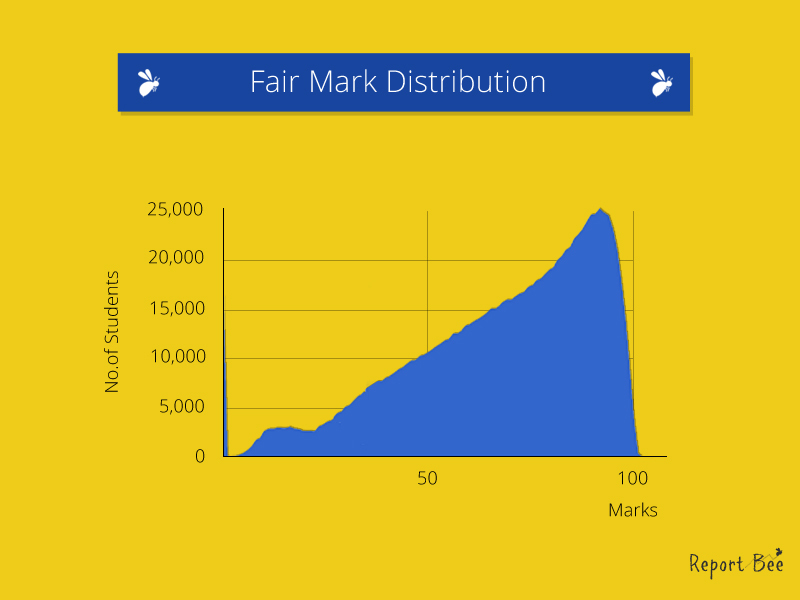 As a result, many non-eligible students progress to the next level; this leads to implications of ‘unfair’ moderation in the form of large number of ineligible students in higher grades. 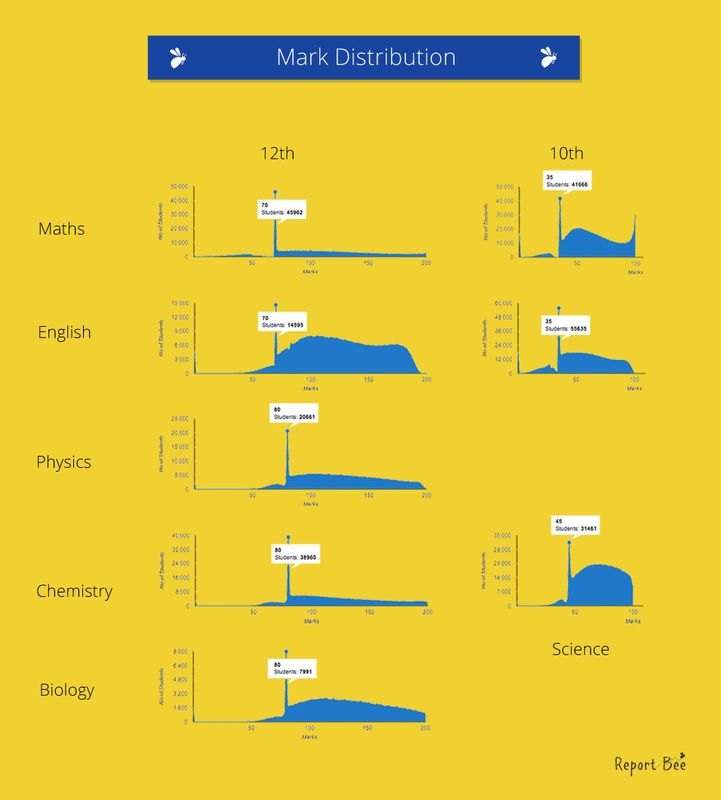 Take a look at the mark distribution of famous subjects for 10th and 12th standards. 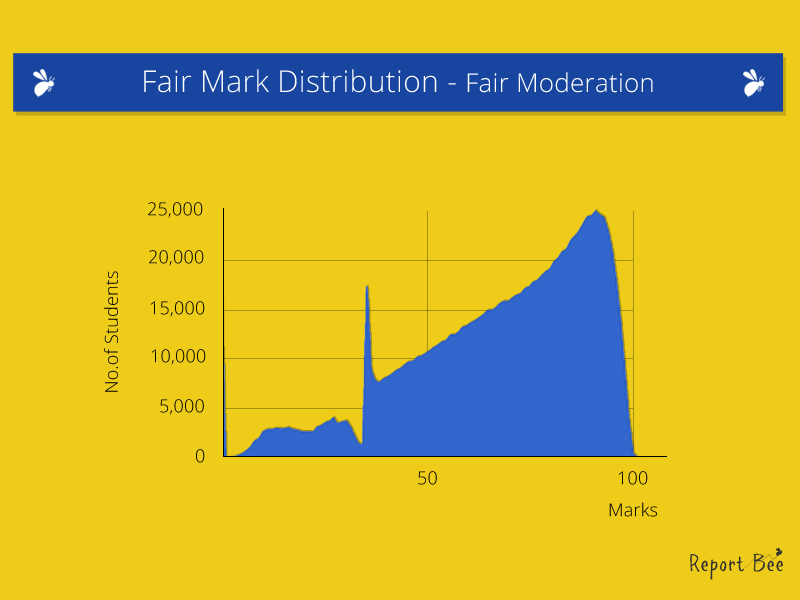 And when good mark moderation is applied, only a fraction of the graph should get marginally affected. When schools and education boards are primarily focused on the pass percentages and on students’ performances to compete with each other, there is an inevitable pressure on the evaluators to move students to higher performance buckets ‘unfairly’ (which is found to be fair by most evaluators). But is it actually fair for the student to get such moderations? – The question has to be answered at a higher level, indeed. Previous PostAnother New year: A Wonderful Team and Awesome TeachersNext PostEver Wondered How Bees Communicate?